Full control of all stages of production makes possible very high levels of quality and performance. 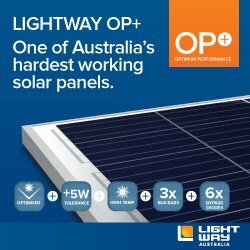 Lightway OP+ solar panels set a new industry standard for features and performance. transparency glass to withstand the worst that the Australian climate can muster. Extensive quality control process ensures that LIGHTWAY panels continually exceed their stated OPTIMISED wattage output – allowing you a faster return on investment. LIGHTWAY’s multicrystalline cells deliver superior performance in high ambient temperatures. LIGHTWAY OP+ multicrystalline panels feature an optimised cell design to provide maximum energy return over a longer period of the day. LIGHTWAY OP+ includes three Bus Bars per cell for greater low light energy performance. LIGHTWAY OP+ features six bypass diodes, providing optimum energy return in shaded conditions and superior protection against hot spots. All Lightway OP+ solar panels are backed by a 25 year warranty. 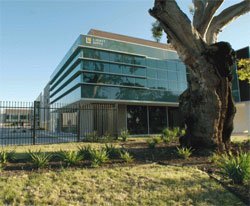 Since launching Lightway products in Australia in 2010, they have sold approx. 46MW of solar modules, a testimony to the quality and value of the product & brand. Lightway solar modules are produced from the best machinery in the world. Lightway perform strenuous testing for quality assurance to create their Premium OP+ solar panels. As if that isn’t sufficient, Lightway deliver very competitive pricing, which produces some of the best Return on Investment (ROI) in the solar industry.